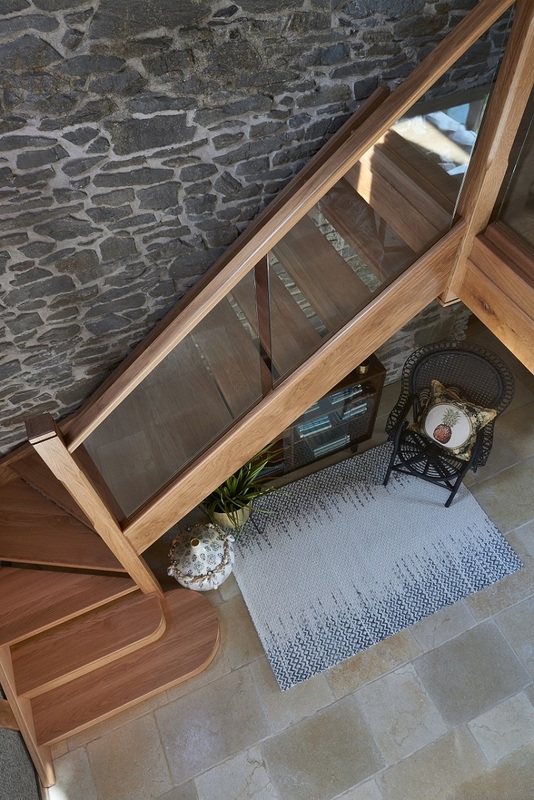 As you can see from our recent collection of customer stories, we’ve had more than our fair share of satisfied people looking to us as bespoke staircase manufacturers to install staircases up and down the country. We’re happy to add another name to that list, the Morris family. Rather than a staircase renovation project, in this case, we were creating an entirely bespoke staircase from scratch. 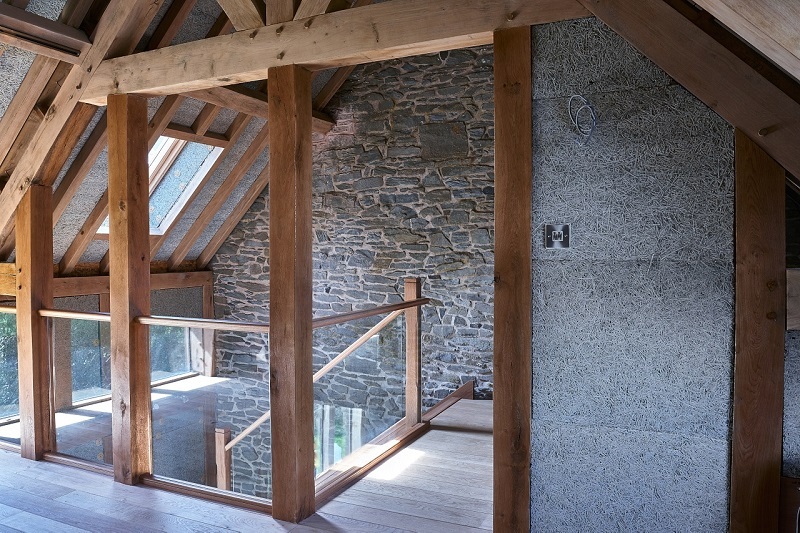 “There was no previous staircase,” explains John Morris who had commissioned the new one as part of an extension to his Welsh cottage in the Mid-Wales countryside. “We naturally had to commission the structure as part of the double-storey development to our home. Since we are a Welsh-based company, the Morris’s were keen to work with us. “And they didn’t disappoint!” says John who was impressed with every level of the Jarrods service. The Morris family knew that the installation process also needed to be sensitive to the other work that was being undertaken. 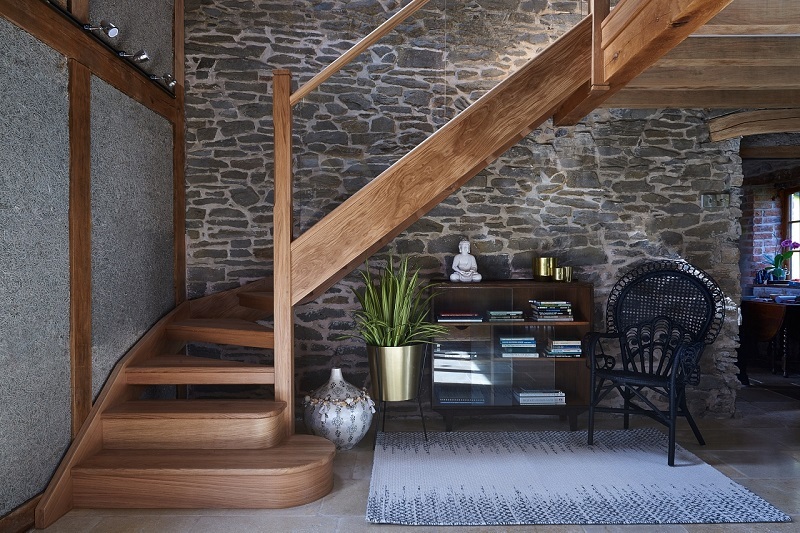 The staircase was purpose-designed to fit in with the large oak frame extension to the original farmhouse that the Morris’s had commissioned. 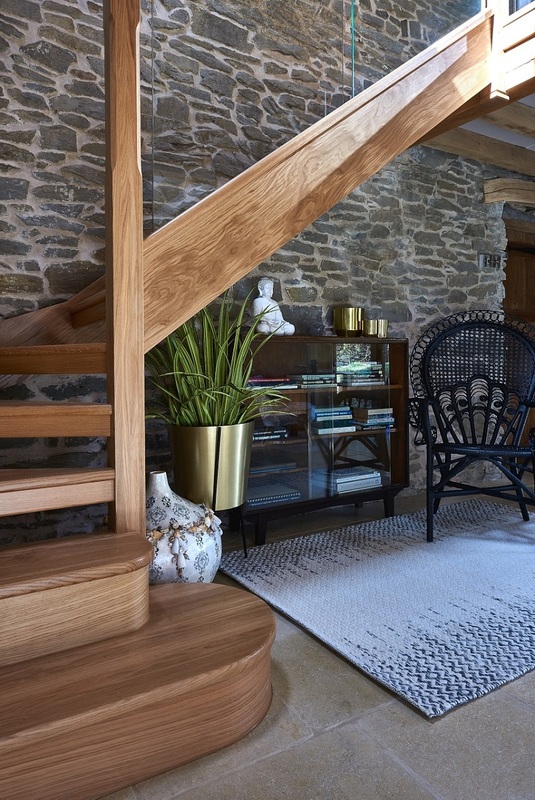 To complement the look and feel of the cottage and its new extension, the staircase itself was built from oak and safety glass. Large windows either side of the ground floor living area, the glass panels and open treads on the staircase allow light to literally flood in through the space. 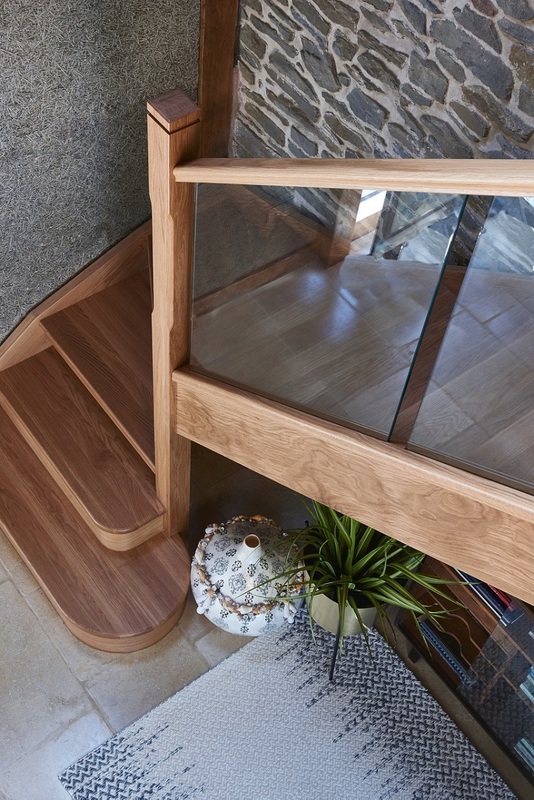 The Morris family’s new oak and glass staircase is the perfect example of a project that not only looks stunning but also perfectly complements the interior design of the space. We’re really happy with the result and it’s great to see that John, Vera and Sandra love it too. 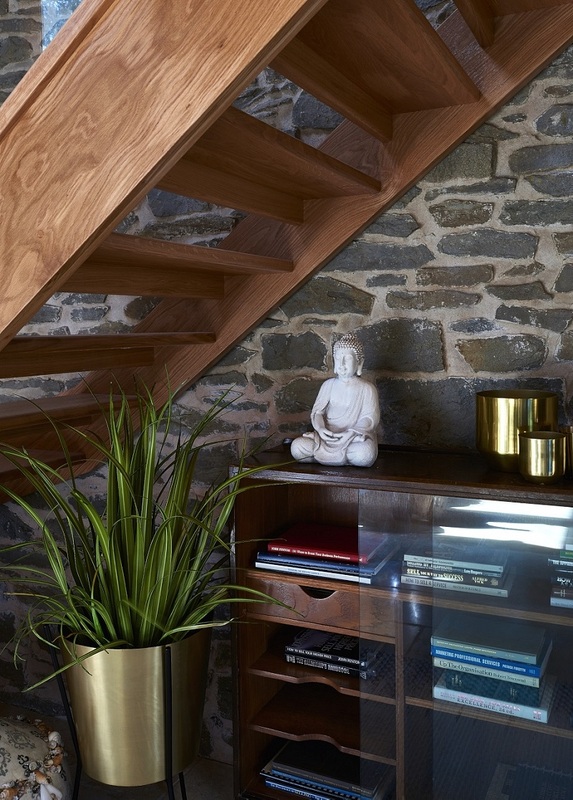 If you’d like to see how we can help you create a bespoke staircase that matches your own interior design, call the Jarrods team today.